The city of Nelson stands on the eastern side of Tasman Bay at the top of the South Island of New Zealand. Many believe Nelson has the best climate in New Zealand, as it regularly tops the national statistics for sunshine hours, with an annual average total of over 2400 hours. Nelson has good beaches and a sheltered harbour. The harbour entrance is protected by a natural breakwater known as Boulder Bank, which also reduces the effects of the tide on Nelson's wide beaches. This allows for some of the safest sea bathing in the country. Nelson lies close to mountains, and to Lakes Rotoiti and Rotoroa in the Nelson Lakes National Park, and functions as the gateway to the Abel Tasman National Park and to the Kahurangi National Park. It is a centre for both ecotourism and adventure tourism, and has a high reputation among caving enthusiasts due to several prominent cave systems around Takaka Hill and Mount Owen. Brightwater is a town 20 kilometres southwest of Nelson in the South Island of New Zealand. It stands on the banks of the Wairoa River and is primarily a dormitory suburb of Richmond and Nelson. Collingwood is a small township in the north-west corner of the South Island of New Zealand cradled by the curve of Farewell Spit. It is situated in the scenic area known as Golden Bay 27 kilometers north of Takaka, the main township of the area, and a leisurely 35 minutes drive. Motueka is a town in the South Island of New Zealand. It is located close to the mouth of the Motueka River, on the western shore of Tasman Bay. It is, after Nelson and Richmond, the third largest centre in the region. The surrounding district has extensive orchards, as well as growing a variety of specialised crops such as hops. It was formerly the main centre of tobacco growing when that crop was permitted in New Zealand. A number of small vineyards have developed in recent years, one (Neudorf) gaining an international reputation. 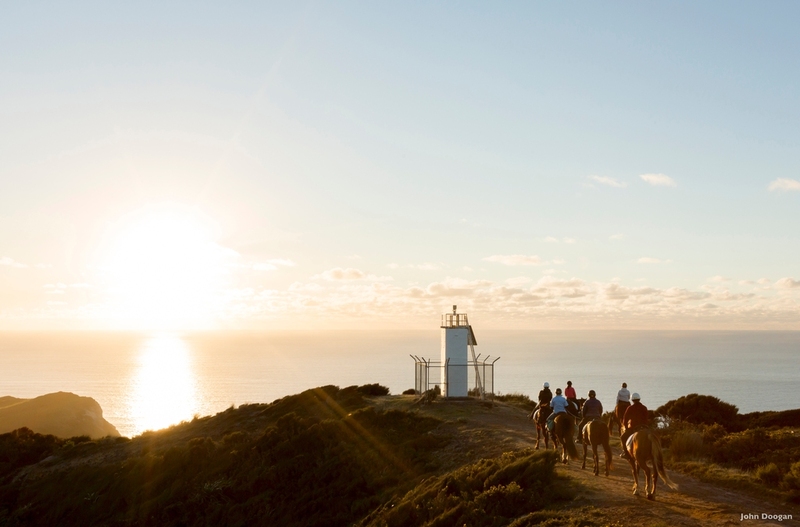 Nearby beaches (such as Kaiteriteri Beach and Marahau) are very popular with holidaymakers, and the area around Motueka has one of the country's highest annual sunshine hour indices. It is one of the nearest towns to the Abel Tasman and Kahurangi National Parks, and has become the base of many tourism ventures in those parks, as well as Nelson Lakes National Park, and other recreational areas. Extensive limstone cave systems (including Harwood Hole in the Takaka Hill area north of Motueka) attract cavers and rock climbers. Sea kayaking and tramping now attract many thousands of visitors each year. The area around Motueka is the home of many artists, especially potters. New Zealand's longest established communal village, Riverside, is nearby and has been the home of a pacifist commune for over sixty years. The name Motueka, or more correctly Motuweka, is Maori, and means weka island, the weka being a small bird of the rail family. Murchison is a small town in the Tasman region of the South Island of New Zealand. It lies on the banks of the Buller River, close to its confluence with the Matakitaki River. It is a rural service town for the surrounding mixed farming district and lies on the highway approximately halfway between Westport and Nelson. Richmond is a town in the Tasman region of the South Island of New Zealand. It is located 13 kilometres south of Nelson, close to the southern extremity of Tasman Bay. Townships nearby are Hope, Brightwater, Appleby, Mapua, Ruby Bay, Mahana, Upper Moutere, and Wakefield. Takaka is a small town situated at the southeastern end of Golden Bay, at the top of New Zealand's South Island renowned for it's scenery and organic farming. Located on the lower reaches of the Takaka River it lies at the start of the winding road which follows the river valley before climbing over Takaka Hill, linking Golden Bay with the more populated coast of Tasman Bay to the southeast. 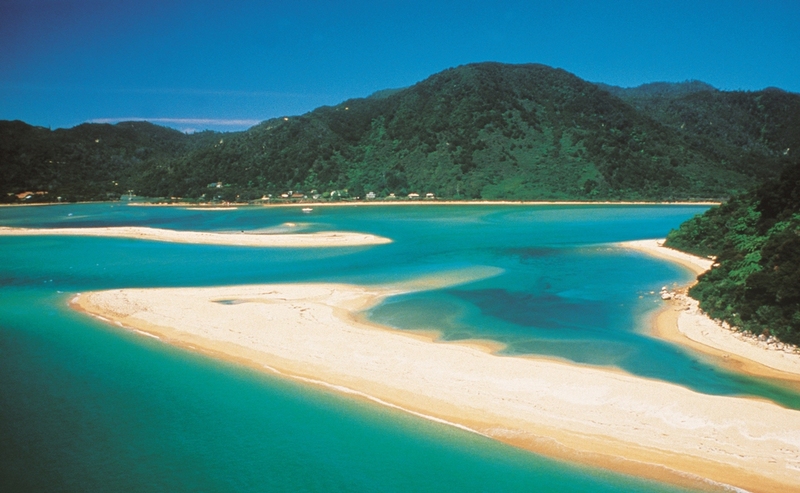 Takaka is 109 kilometers from Nelson City which is a lesisurely two and a half hour drive. The area around Takaka Hill is notable for its cave systems, with New Zealand's deepest cave, Nettlebed Cave located nearby. Tasman Bay is a large V-shaped bay at the top of New Zealand's South Island. Located in the centre of the island's northern coast, it stretches along 120 kilometres of coastline and is 70 kilometres across at its widest point. It is an arm of the Tasman Sea, lying at the western approach to Cook Strait. 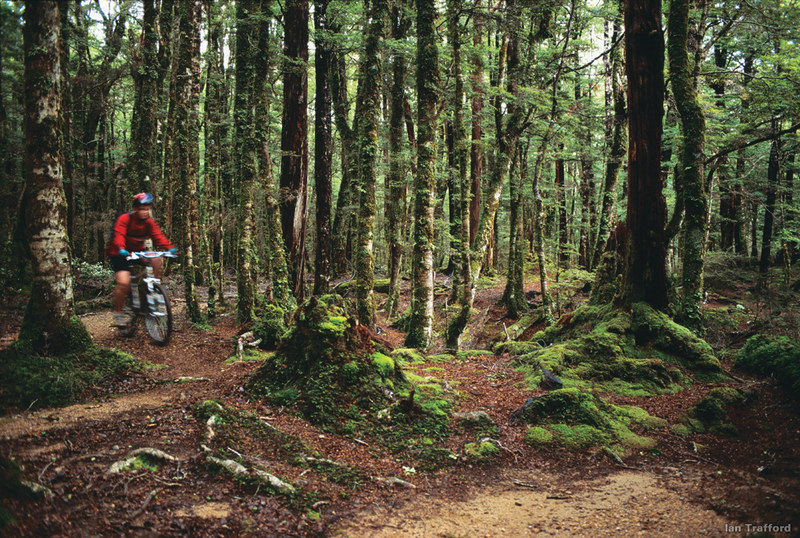 At the bay's western extremity, the land around the bay is rough and densely forested. Separation Point, the westernmost point of the bay, is located in Abel Tasman National Park, and separates Tasman Bay from its smaller neighbout, Golden Bay. To the east, the land is also steep, with the westernmost points of sea-drowned valleys of the Marlborough Sounds. D'Urville Island sits to the northeast of Tasman Bay's easternmost point. The land between these two extremes is more gently rolling, and also includes the coastal plains around the mouth of the Waimea River at the bay's southernmost point. Other rivers to enter the sea along the coast of the bay include the Riwaka, the Motueka and Serpentine Rivers. The long low form of Rabbit Island is located close to the bay's south coast. The fertile land around the centre of the bay's coast is extensively cultivated with such crops as hops and fruit. It is also the most densely populated part of the South Island's north coast, and several towns and the city of Nelson are all located close to the shore. The towns include Motueka, Riwaka, and Richmond. Bronte Lodge is unique, it borders an estuary paradise on the historic Bronte Peninsula, an area of stunning beauty in Nelson's Tasman Bay in the top of the South Island of New Zealand. homestead sits in spreading gardens of mature trees, a minute's walk from the two luxury suites and two villas, which are just a few paces from the lapping waters of the private foreshore. Shelbourne Villa, Nelson New Zealand, offers five star boutique accommodation for the discerning traveller. Set in a quiet suburban location, yet within five minutes walk of Nelson’s City Centre and its many Cafes, Restaurants and Galleries. Originally built in 1929 this classic villa has been refurbished and is set in an extensive English style garden. Shelbourne Villa, bed and breakfast, is an ideal central base for holiday makers, groups of friends and business people when they are visiting Nelson which is renowned for its scenery and its three National Parks.